Some homeowners in Torbay have been asked to collect water samples from their residential wells, amid continuing concerns about possible contamination in area ground water. The contamination has already put a halt to a major commercial development in the community, and Mayor Ralph Tapper says residents in the Pine Ridge subdivision need to get their sampling kits back to the town. "Get your sample, and get it back to the town hall as quickly as possible and we'll get it to the lab," he said. 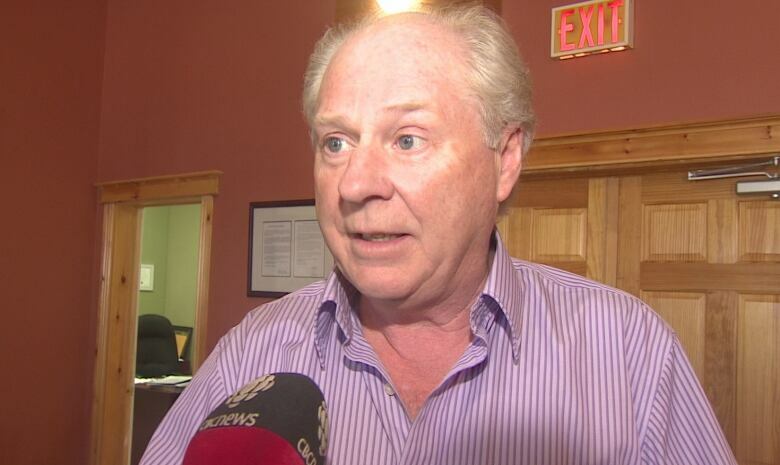 Torbay Mayor Ralph Tapper says until his town finds out later this year if there will be help available on the St. John's water system, developments won't be able to move ahead due to water contamination concerns. (CBC)There are 270 sampling kits available at town hall, and the mayor is urging people to pick theirs up if they live in the neighbourhood. 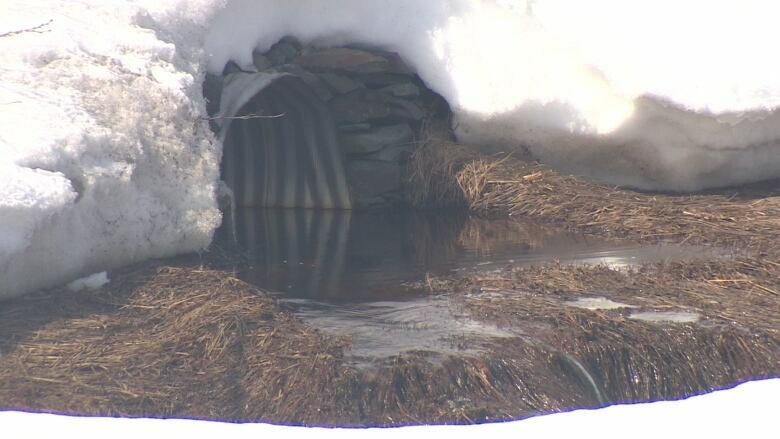 The goal is to test water from every well in the subdivision and while there's no indication of contamination, it's known there is ground water contamination at the nearby St. John's International Airport. Some of that contamination has already travelled far enough to eliminate a nearby body of water as a source of much-needed water source for Torbay. Further development of the land has been put on hold, and a business park that would have generated much needed tax revenue was axed because of a lack of water. "It's a matter of putting everything on hold and getting these tests done," said Tapper. "If anything does show up, and hopefully it won't, but we can't determine that, we'll do more testing." Tapper added that until Torbay can negotiate assistance from the St. John's regional water system, the uncertainty surrounding area development will continue. Torbay will find out later this year whether that help will be possible.